The United Kingdom and its Brexit, China and the United States are not the only countries in the world where regulatory developments are impacting the cosmetics sector. 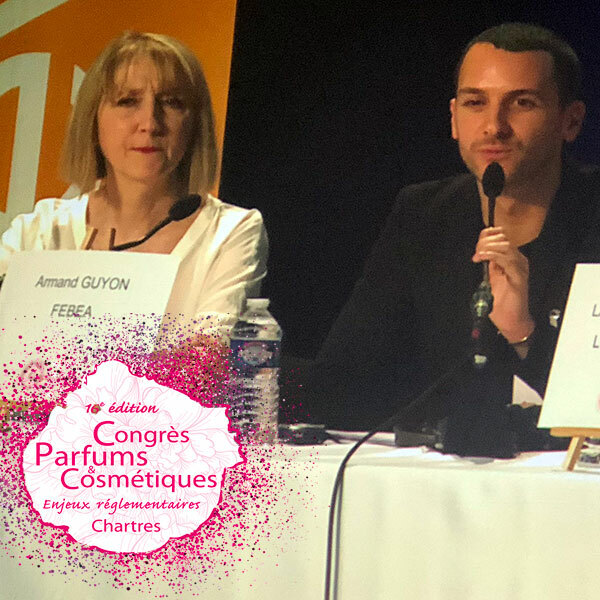 During the 16th Cosmetic Valley Perfumes & Cosmetics Congress, Anne-Marie Breton and Armand Guyon, FEBEA’s International Regulatory Affairs Officers, gave a world tour of the latest developments in the field. A Prime Minister’s Resolution defined a list of ten product categories (including perfumes and eaux de toilette) subject to a unique identification code: each product unit will have to bear a unique identification number generated in Russia by a centralised system as from 1 December 2019. An alternative method, the Luminescent Bacterium test standard, has been approved. It is now applicable to all product categories, and makes it possible to avoid animal tests that were previously mandatory. It will be included in the list of standards as a validated method until the introduction of a US standard on safety assessment. At the same time, another approach is being implemented: the toxicological evaluation of cosmetic products based on their ingredients. It should be applicable in 2020. To do so, it shall be mentioned in Annex VIII of the 2nd amendment of the Technical Regulation. As a reminder, in Europe, only sun creams and tanning products are subject to the maximum threshold of 1 ppm fucocoumarins, whereas the DFI Ordinance on Cosmetics (Ocos) of 16/12/2016 goes much further: this restriction concerns “all cosmetic products that can be exposed to sunlight”.